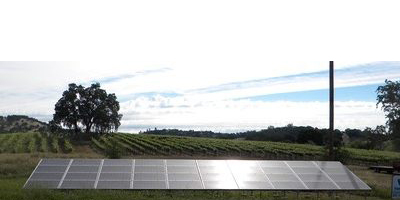 SunnyCal Solar is the local solar provider for winery solar for wineries and grape growers in Amador, Calaveras, San Joaquin, Stanislaus and El Dorado areas. 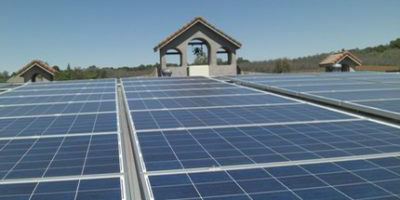 Ground Mount Solar Installation to provide power where remote solar array installation is desired. 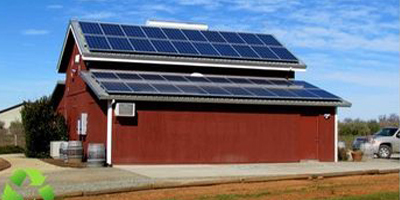 Power can be routed to well pumps, agricultural buildings or simple backfeed to electrical meters to use in offsetting usage across a larger campus. 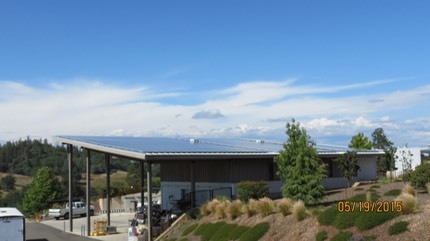 Carport Solar Installation can be installed using SunnyCal’s exclusive solar carports, with metal roofing that include integrated solar cells. 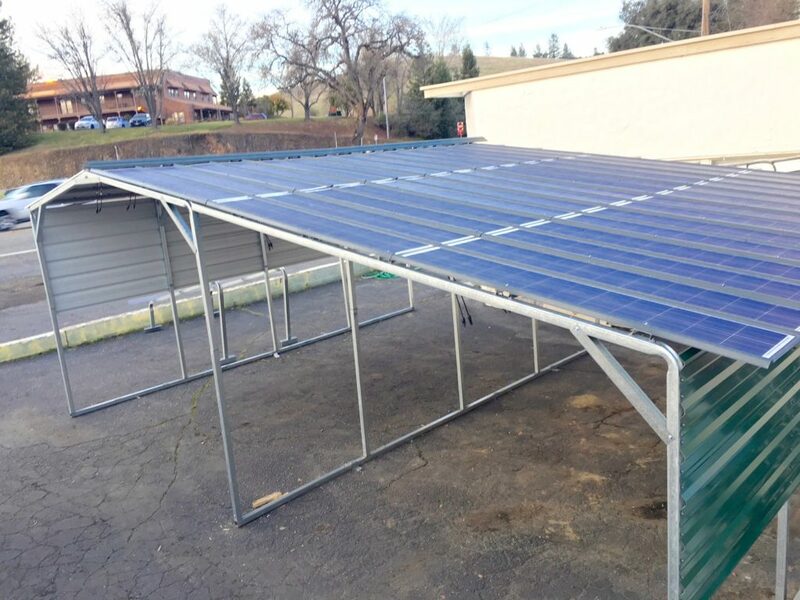 These carports are lower cost than traditional ground mount arrays, and provide the additional bonus of creating shade to vehicle parking or storage. 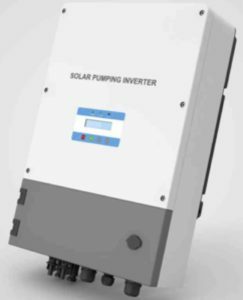 Solar Well Pump Inverters are now available to convert existing well pumps to use solar power. 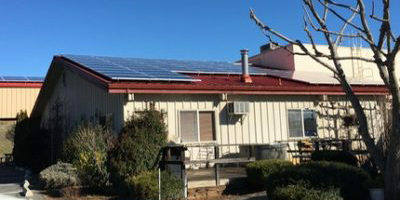 The existing AC pump can be powered directly from the solar array. 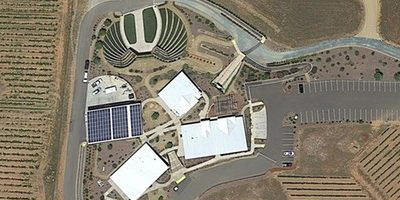 This eliminates the need for utility power at the well. This avoids concerns about Time-of-Use penalty charges and pump standby charges. 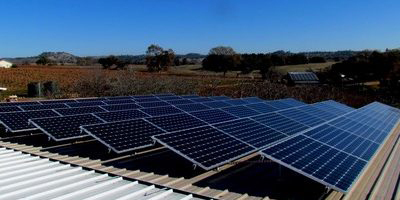 Usage from multiple electric meters can now be offset using a single solar system. 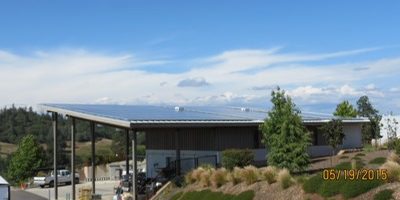 This now enables remote solar array installations to cancel electric usage charges for an entire campus of users. This is called “meter aggregation”.